Recumbent exercise bikes offer people an easier way to remain fit in the convenience of their homes. 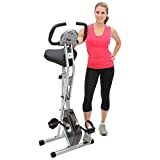 They are popular fitness equipment you find in gyms and fitness clubs but who said you couldn’t own one right there in the comfort of your home? 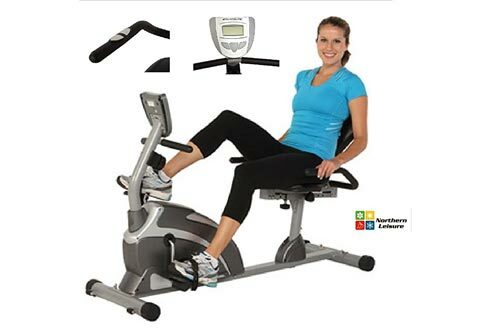 Recumbent exercise bikes are a great fit that can offer you a good workout and keep your body in shape. 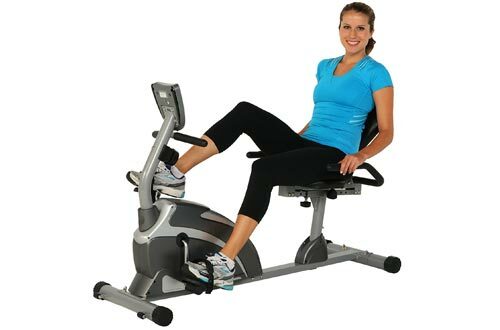 Buying recumbent exercise bikes online is easy, but you must select carefully to get good value for your money. 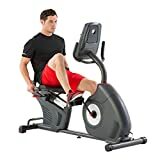 In this review, we’re going to look at some of the best models of recumbent exercise bikes you can buy and enjoy keeping fit from home. This is a step-through design that offers great resistance so that you can break the sweat. It is a sturdy bike made of the 14-gauge steel tubing. The finish is powder coated to prevent rust and damage from other weather elements. 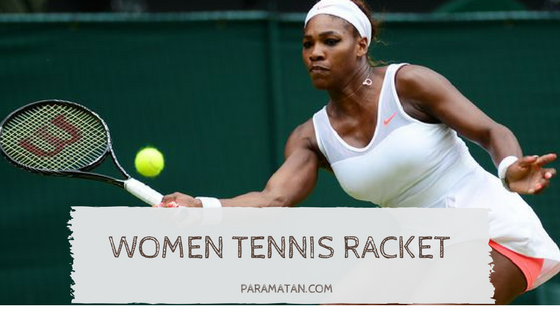 There are a total of eight resistance levels to keep you worked out properly. 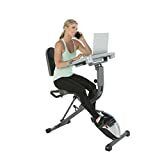 An easy to read computer screen further aids to know the distance covered, speed, calories and much more. The pedals of this bike are great and counterbalanced for the best workout. 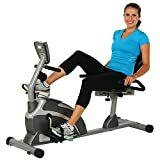 This is another excellent recumbent bike that offers some very challenging workouts without putting too much stress on your back and joints. You can easily customize your ride through the 8-level magnetic tension control system slowly challenging yourself. There is a further big LCD system that shows the calories burned, distance covered, time, speed and heart rate information. It weighs 63 pounds and supports a 300-pound person. 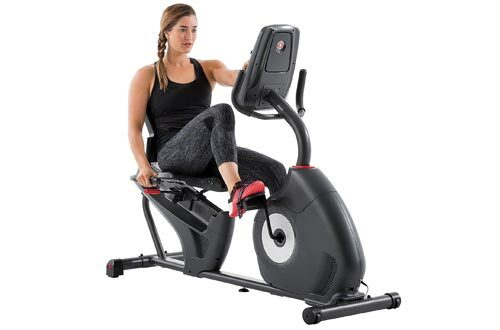 This is a new 2016 recumbent bike with a large LCD screen to help you track your goals. The dual screen offers users improved visibility when looking at the distance, speed and calories burned. There are an amazing 20 levels of resistance controlled by the computer. This offers you a wide range of challenging workouts. 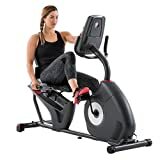 Overall, we have 22 preset programs, charging USB Port, adjustable three-speed fan, speakers and media shelf all of which make this a great recumbent bike. 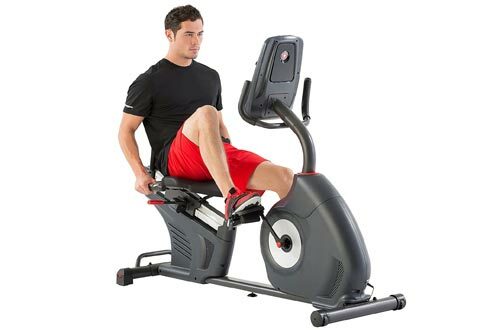 Schwinn 270 comes with a wide range of features that make it a great addition to any home. With a dual backlit screen, this bike offers better visibility as you look towards better goal tracking and management of the programs. Seamless connectivity is offered through a Bluetooth with data transferred to a smart device. Resistance in this bike is offered through 25 different levels generated by the computer. Overall, we have 29 preset programs which are way better than most recumbent bikes and four user settings. Other features include a USB charging port, media shelf, speakers and three-speed adjustable fan. This is a foldable recumbent bike and an ideal option for homes with limited space. It comes with a quiet V-belt operation that offers double drive transmission. There are eight levels of resistance to give you different challenging exercises. 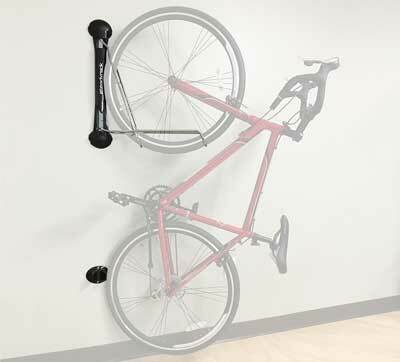 The wheels of this bike are precision balanced to allow for easy workouts. 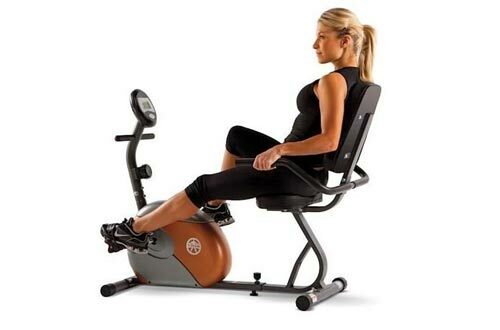 A semi-recumbent design allows for easy entry and exit when working out. This coupled with the easy to read LCD screen makes this bike another quality choice to consider. 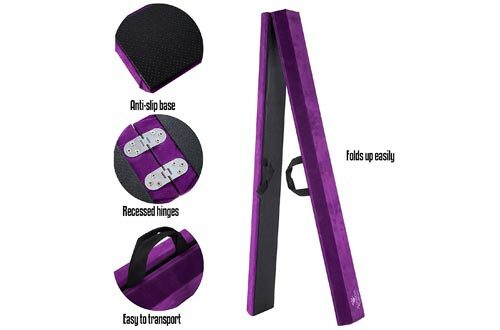 It is sturdy and supports up to 300 pounds of weight. 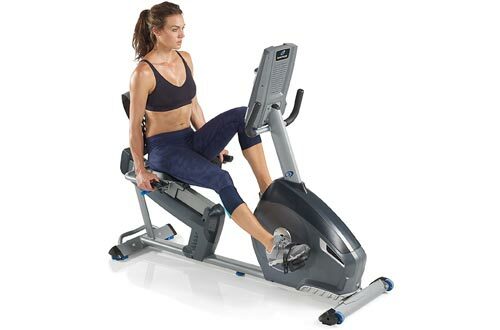 Big sounds, dual track, and easy use are the words we can use to describe the nautilus recumbent bike. It is a unique bike with two large LCD windows that allows for easy use. The screen displays 13 different work out details to ensure you challenge your body to the maximum. In total, the bike has 20 different levels of resistance, 22 preset programs, and two user profiles. The use of acoustic chambered speakers gives you clear, loud sounds. It also supports data export and USB charging. 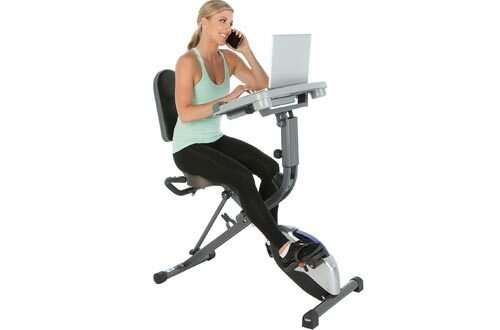 This is a versatile recumbent bike that also functions as a desk. You simply get a good cardio exercise while working on your desk. It has a sliding desktop that easily adjusts forward, backward or up to suit different sitting positions. 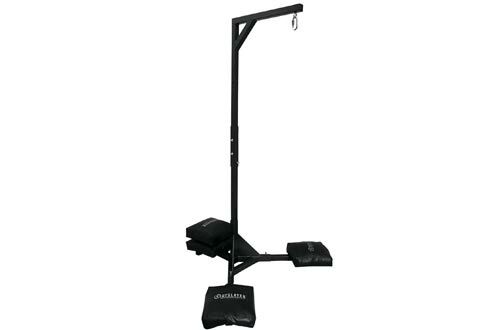 The resistance level is 8 and users easily adjust these levels to suit different workouts. It folds up with easy for storage making it a portable choice for most people. It supports a weight capacity of 300 pounds and offers easy entry and exit through its semi-recumbent design. Designed with an adjustable seat, the Sunny Health and Fitness bike is a comfortable product that allows to workout with ease. It supports an extended weight of 350 pounds and offers a quite transmission through the quite belt drive. 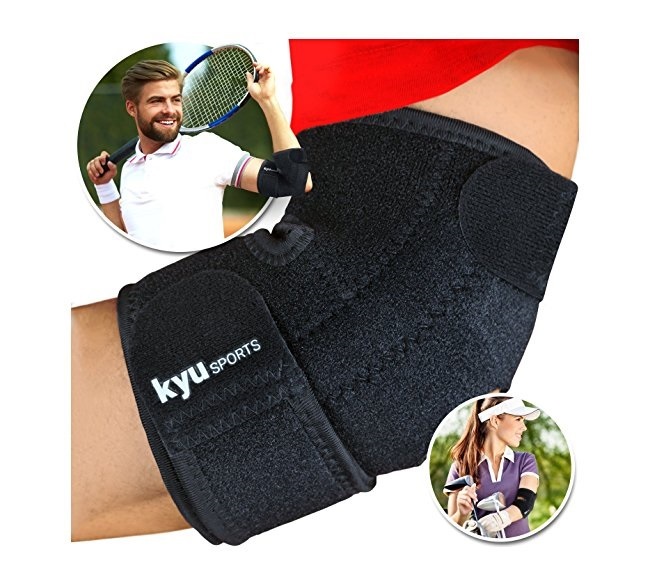 Accurate heart rate readings are offered through the sensitive hand pulse sensors. 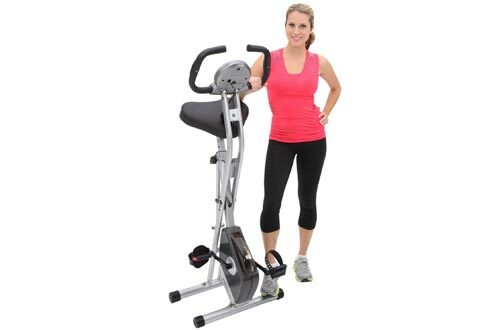 Overall, it is a great bike with 8-levels of magnetic tension to challenge your workouts. 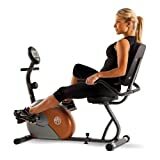 Intended to be used on a hard floor, the Exerpeutic Folding recumbent bike is a top choice that supports 300lbs. It is a comfortable bike with a largely cushioned seat ideal to suit any size. The seat adjusts with ease to fit anywhere for users 5’3 to 6’1. It is compact and folds for easy storage. Included wheels allow for easy transportation if you need to move it. Eight tension resistance levels are adjusted with ease. This is a relatively cheaper choice but one that meets all the minimum requirements for a standard recumbent bike. It is a good value for your money and comes with a wide seat to fit different people. The easy step thru design allows for easy entry and exit when working out. 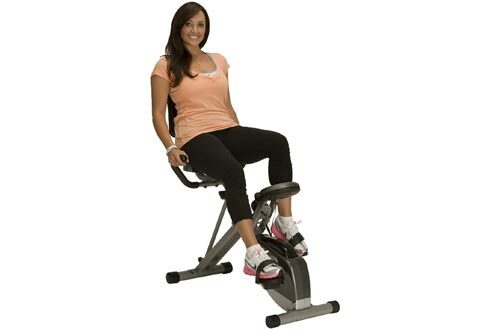 There are extended leg stabilizers that prevent any movement as you work out. 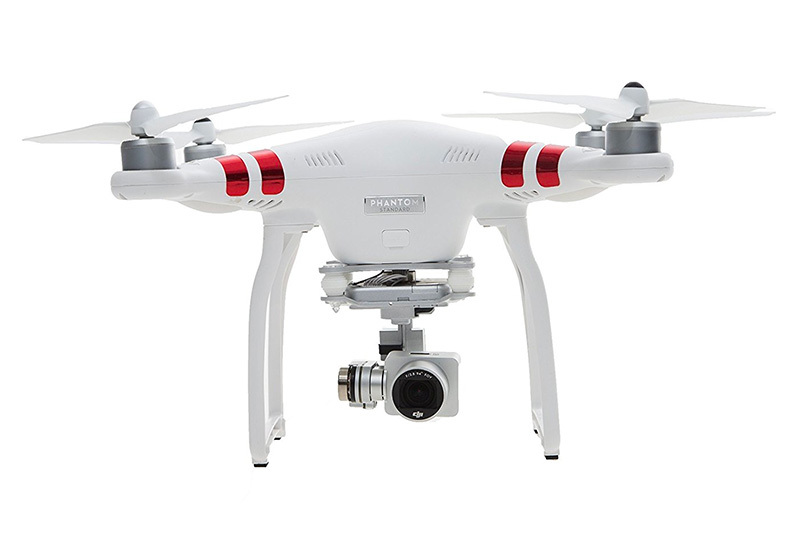 It supports 330 pounds of weight and has eight resistance levels. There is a further large LCD screen for easy monitoring of your progress. 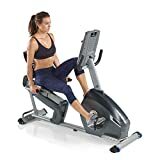 If you’re tired of visiting the gym on a daily basis, then bring the gym to your home by getting one of these amazing recumbent exercise bikes. They can be pricey, but we’ve selected the best choices for you so you can be sure of getting good value for your money.